IMPORTANT: The below styles are applied to the feed item excerpts that are imported and displayed only when using the Excerpts & Thumbnails add-on along with the free core plugin. Add more spacing or perhaps add a divider between the feed items in the shortcode display to achieve the look you want. For more ideas on how you can style the feed item excerpts and thumbnails, please visit this page. 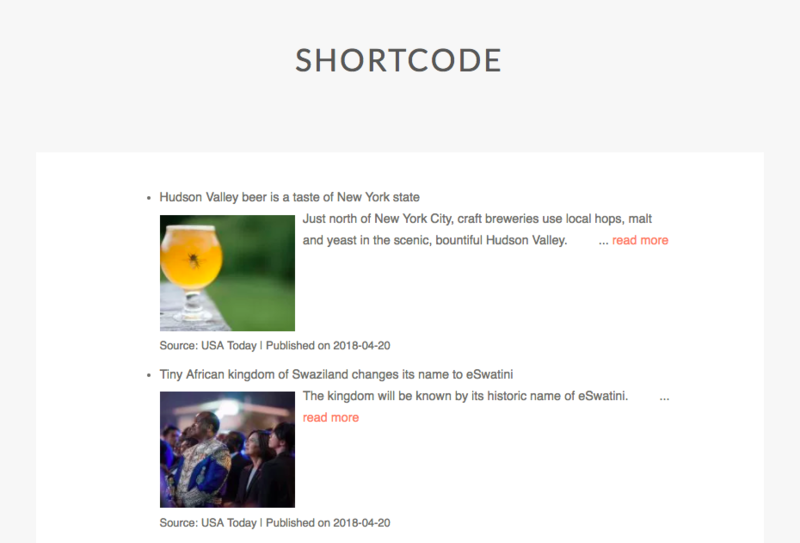 Once the above CSS to modify padding and add a bottom border between feed items is added to your WordPress site, the shortcode display will change as seen below.